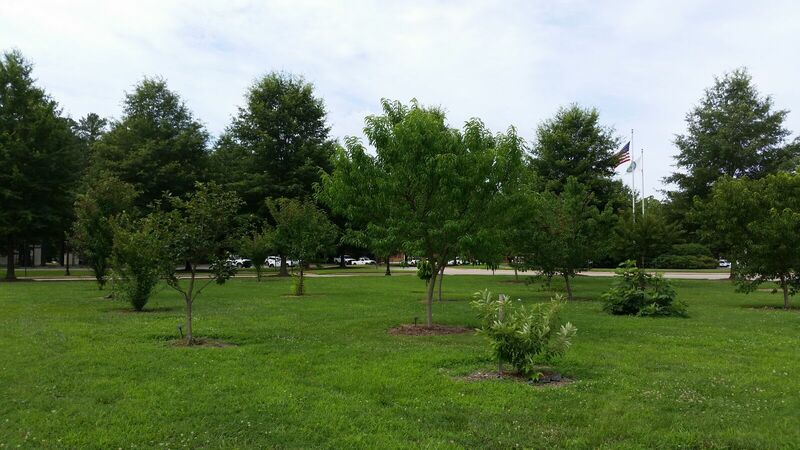 This urban orchard project was started in June 2013 partnering with Chesterfield County Virginia. 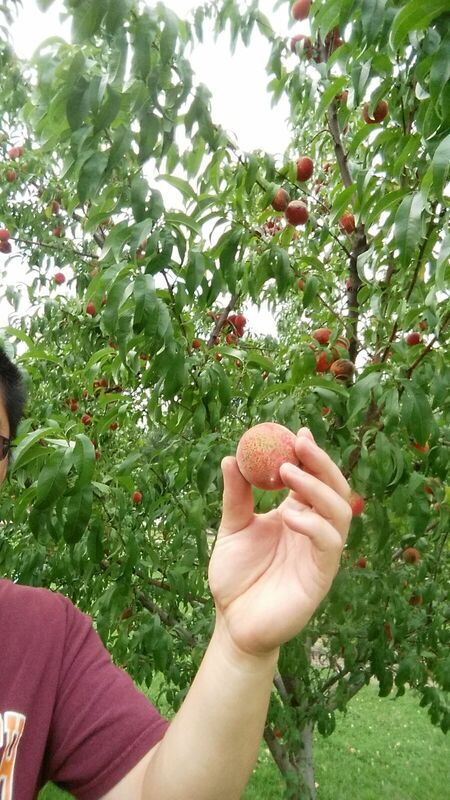 Two groups of ten fruit trees were planted on a field without irrigation. One group trees were installed with TreeDiaper® system and the other group trees were installed with watering bags. Watering (with water trucks) schedules and natural rainfall were recorded during the testing period. 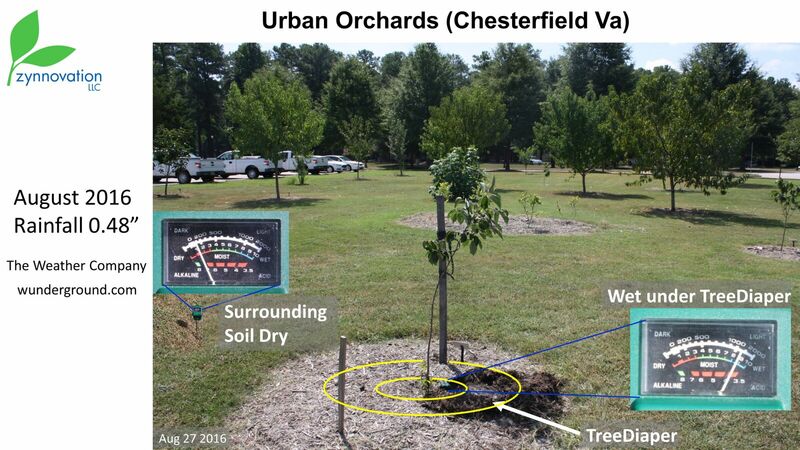 In May 14, 2016, Plant Map published a featured article "Virginia’s Chesterfield County transforms turf into an urban orchard", in which it stated: "TreeDiapers — which have proven effective at keeping young trees adequately watered without as much maintenance and added water as typical tree bags—are still used in the orchard. The landscape has since been expanded…"
*Not all the costs are from actual because of accounting reasons. So some of the above figures are estimated based on available information and the standard practices and weather in Richmond, Virginia. There are possible differences with the actual cost. It may also vary with different regions as rainfall and drought conditions may vary.